This sounds like a surefire way to quick cash. Unfortunately, the road to a payday isn’t without its challenges. As with almost anything, there are some drawbacks to inheriting a house in New Jersey. Multiple Parties – Oftentimes, a house will be inherited by more than one person. It’s not uncommon for a deceased individual to leave their house to siblings, cousins or children. When this occurs, there may be a difference of opinion among the parties involved. Some may want to sell the property while others may want to keep it in the family. Repairs and Maintenance – As any homeowner will tell you, repairs never end. Performing repairs and addressing deferred maintenance require time, energy, and cash. With other bills to pay to settle up the estate’s affairs, home repairs can quickly become a burden. Clean Up – Whether sudden or expected, the death of a loved one is difficult. Eventually, the parties involved must deal with the reality inheriting a house, which often requires extensive clean-up. Hauling away years’ worth of memories is both heart-wrenching and expensive. But, it’s often necessary in order to list a home on the market. The Selling Process – Once you’re ready to sell, you’ll deal with Realtors, buyers, lenders, appraisers, and home inspectors. Buyers will request repair requests. Lenders will drag their feet. Realtors will come and go. Eventually, though, your house should sell! Take inventory of the house and record notes – Make a list of what needs to be fixed, renovated or removed. Have realistic expectations – Don’t expect to be able to sell the house overnight. 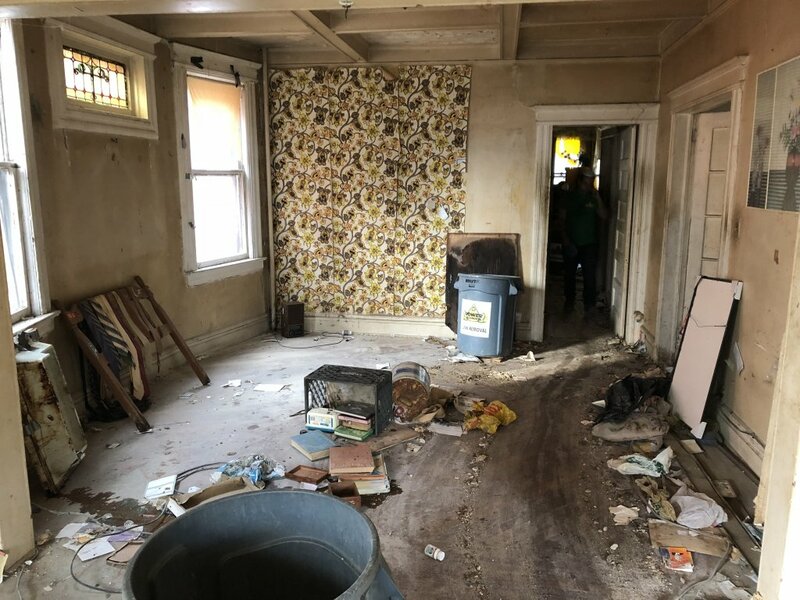 Remember, there are costs – While you may make money in the end, you will probably have to shell out some money upfront in order to bring the house up to sellable condition. Costs may include clean-out, repairs, property insurance, property taxes, mortgage (if applicable), and utilities. If you’re looking to expedite the process and to sell your inherited house in New Jersey quickly, we would love to help! We purchase homes in AS-IS condition, which means no repairs, fewer holding costs, and a faster payday. We can close on the day of your choosing (as quickly as 14 days). And if you’re dreading clean-out… You can take everything you’d like to keep, and we’ll take care of the rest. Talk about an easy clean-out! Please reach out to us today to discuss a quick, no-obligation offer for your inherited house in New Jersey. We’d love to help!